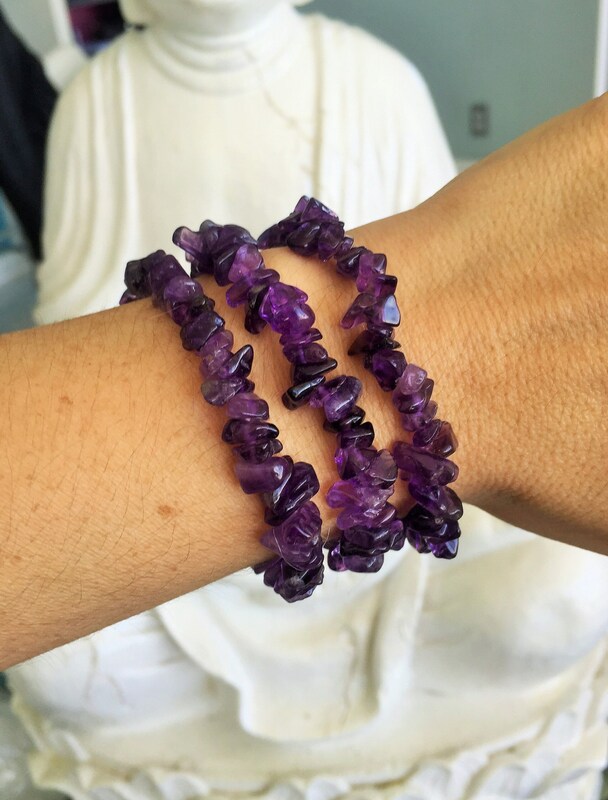 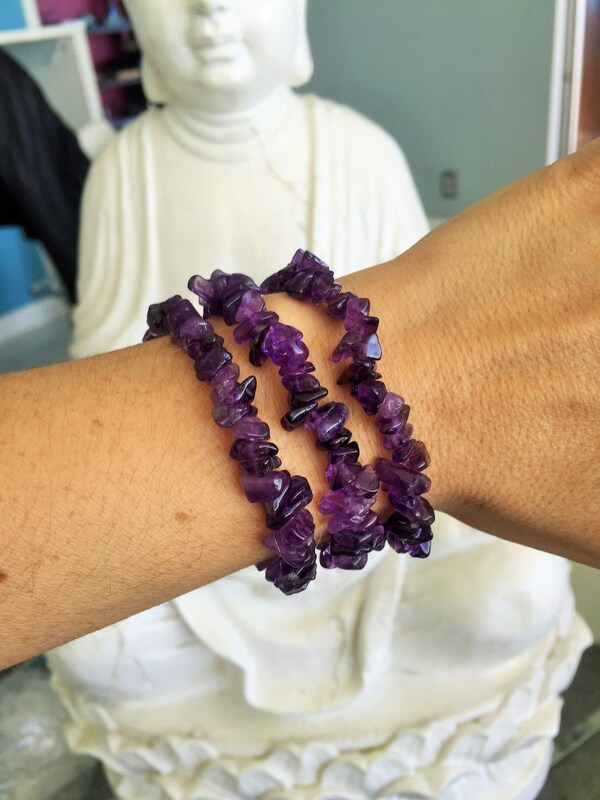 These Amethyst Crystal Stretch Bracelets reduce anxiety and calms the mind/thoughts. 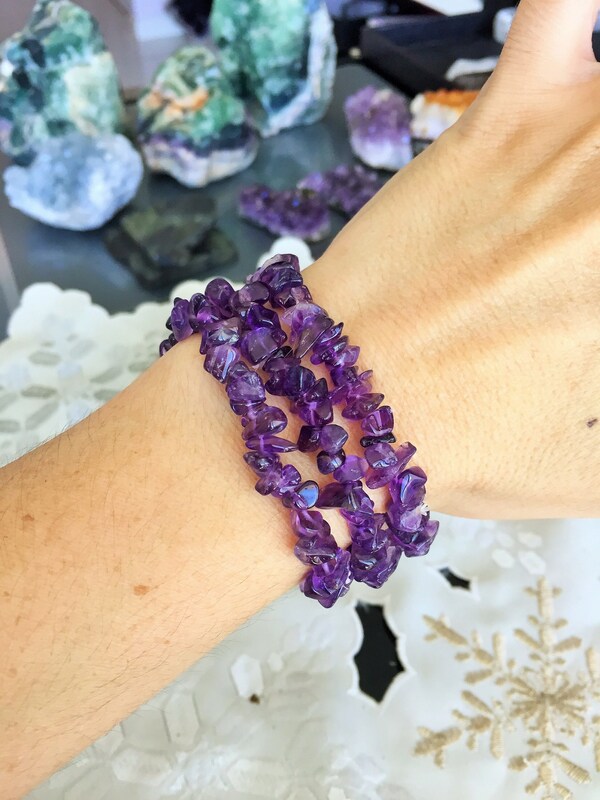 And has the ability to clear and cleanse the aura. 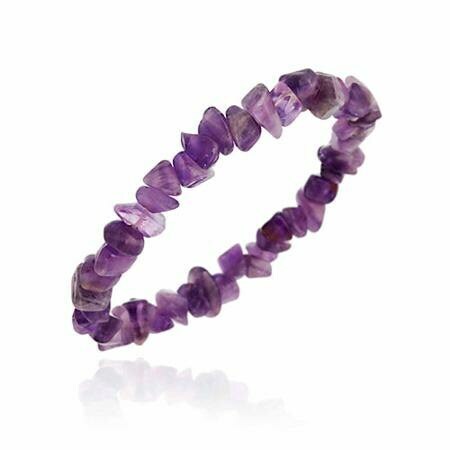 Due to the natural nature of the item, the stones and shapes may vary.